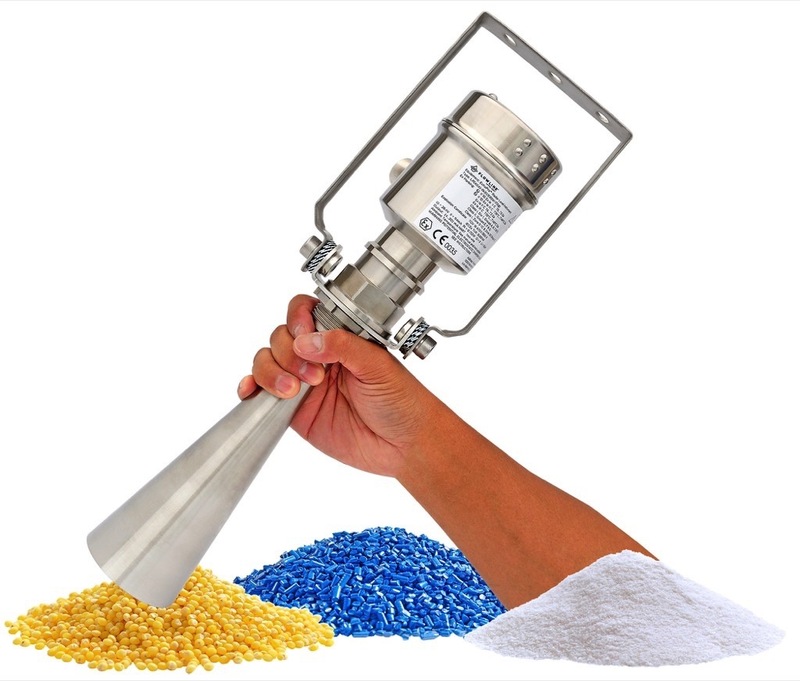 EchoPro is offered in three intrinsically safe models for silo, bin, stockpile or transfer station applications, with mounting bracket or gimbal-​flange installation and push button display or software configuration with HART® communication. The sensor emits a microwave pulse from its antenna, which travels at the speed of light to the surface of the medium below. A portion of that energy reflects off the medium and returns to the antenna. The time gap between energy emission and receipt is called the “time of flight”, and is proportional to the distance between the medium surface and the sensors measurement location, as at the bottom of the antenna. The sensor measures the time of flight and translates this value into a continuous 4-20 mA signal output that’s proportionate to level within a defined measurement span.